Michael Ayoub, DMD, has been in private practice at The Dental Way in Bergenfield, New Jersey, since 1999. 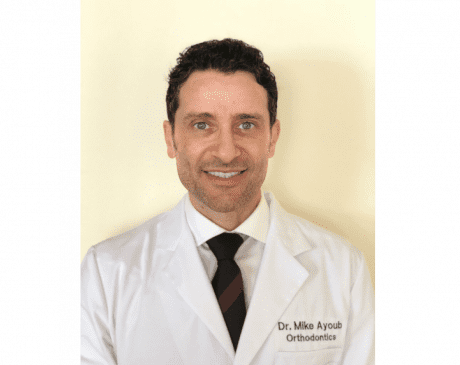 After earning his Doctorate in Dental Medicine from Columbia University, Dr. Ayoub further pursued a post-doctoral certificate in Orthodontics and Maxillofacial Orthopedics, allowing him to provide even more advanced orthodontic care to his patients and bring out their best smiles. Dr. Ayoub is an active member of the American Association of Orthodontists and a number of local dental societies. He also attends annual continuing education seminars, staying up-to-date with the latest advances in orthodontic technology and the best practices for comfortable, comprehensive patient care. He’s happy to be able to translate his expanding knowledge into more effective treatment for his patients. Rated as an Invisalign “Top Provider,” Dr. Ayoub can comfortably treat even the most complex orthodontic cases, no matter how far out of alignment your teeth may seem. He enjoys working with both adults and children and has committed himself to providing only the most friendly, informative, and professional atmosphere for his patients. For your convenience, The Dental Way accepts most major PPO insurance plans. Click on "View full list of companies" to see a list of commonly accepted insurances. This list is not entirely inclusive of all plans we accept. If you have any questions, please feel free to reach out to our office and a member of our friendly staff would be happy to help.